Cities in the central and lower Danube River Basin are major sources of phosphates in cleaning detergents that add to the nutrient pollution of water bodies. Many would like a phosphate ban to be introduced, but industry is generally against the idea. Clean or dirty? You just washed three loads of clothing and hung it in the sun to dry. Family is thankful. You feel good and clean. Did you pollute? It depends on whether your washing detergent contains 'phosphates' or not. 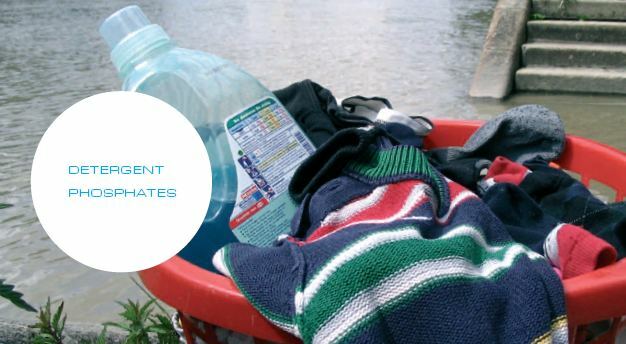 Phosphates, or compounds with phosphorus (P), are added to some detergents to improve washing effectiveness. They soften the water in your machine, make it bubblier, ensure it's not too acidic and help dissolve cleaning agents. That's good for your clothes. But it could be bad for your river.